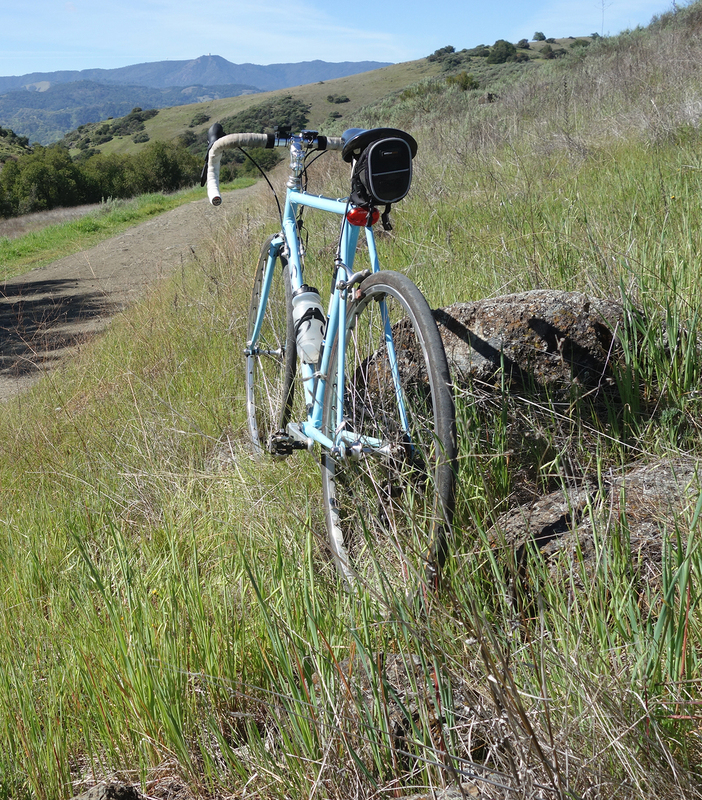 Mine Trail and Fortini Trail in Santa Teresa Park offer a route between McKean Rd. and Bernal Rd. One of the South Bay routes many riders enjoy includes Bailey Avenue, which bridges McKean Road and Coyote Valley. Ideally, you would take Bernal Road and Harry Road to make a loop. There’s only one problem. Part of Bernal and all of Harry crosses private property, owned by IBM. I’ve read many accounts where cyclists rode through and weren’t bothered, but that’s not always the outcome. The road is patrolled by IBM security. It’s a strange situation, to be sure, given that the property occupies mostly open space. I didn’t let that stop me. I rode through Santa Teresa County Park on Mine Trail and Fortini Trail to finish my Bailey Avenue loop. Mine is a dirt road, but Fortini is single-track. On a road bike, it requires your full attention. It’s rocky in places, and rutted, but all downhill. This entry was posted on March 12, 2018 at 8:50 am and is filed under Ride reports. You can follow any responses to this entry through the RSS 2.0 feed. You can leave a response, or trackback from your own site. Having ridden through IBM campus dozens of times over the years I’ve never had an issue. However, my wife once got an earful from a security guard through a loudspeaker at the east side entrance to the campus. I’d much rather ride up and over Bernal instead of Bailey, which seems to be a racetrack for motorists. I’ll take my chances with the IBM security guards any day.